In the ruins of the world, the last remnants of humanity find themselves caught in an impossible war between the mechanical and the mystical—between the unliving and the undead. For orders shipped outside of the US please email kate@omniumgatherumedia.com for shipping rates.. When Ari Marmell has free time left over between feeding cats and posting on social media, he writes a little bit. His work includes novels, short stories, role-playing games, and video games, all of which he enjoyed in lieu of school work when growing up. 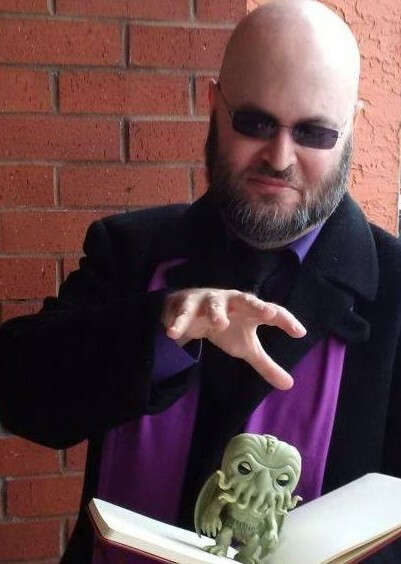 He’s the author of the Mick Oberon gangland/urban fantasy series, the Widdershins YA fantasy series, and many others, with publishers such as Del Rey, Titan Books, Pyr Books, Wizards of the Coast, and now Omnium Gatherum. Ari currently resides in Austin, Texas. He lives in a clutter that has a moderate amount of apartment in it, along with George—his wife—and the aforementioned cats, who probably want something. You can find Ari online, if you’re not careful.